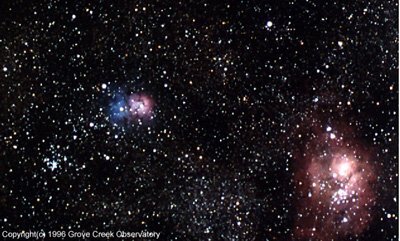 These two objects are located in the constellation of Sagittarius and are at the Zenither during winter at Grove Creek. Pentax 10cm astrograph @ f/4, piggy-backed on the C-14. Photo by Steven Williams, using Kodak Gold 400 and a 30 minute exposure.